was done mainly to see what libspeex's resampler is like, nothing more. Hi. I've got some strange clicks on a left chanel after converting this sample to 32-bit float/48 kHz with spxresample (quality 10). Hmmm, sample's 404ed. Any chance of a link, so I can forward the problem to jmvalin? Any stereo signal is enough. 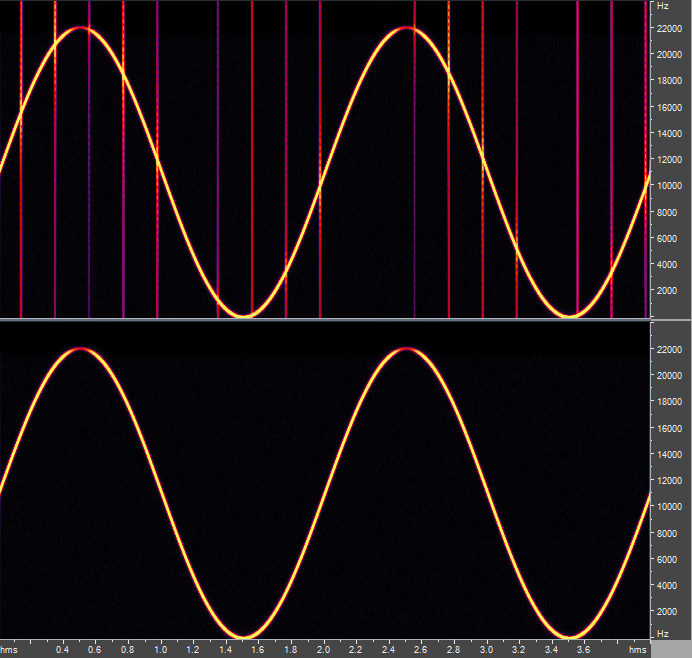 For example, sweep://10-22000,50 and "Convert mono to stereo" DSP before the resampler. so I can forward the problem to jmvalin? I'm not sure that the problem is in speexdsp lib. Several months ago I took SoX resampler plugin and replaces SoX with Speex library, and it works without problems. k, a year later, was buffering indeed. fixed in Git.